Group Captain Nigel Gorman was brought up on a farm in North Lincolnshire. He joined the RAF to escape the local steelworks and young adulthood in a rural community. Tours as a physical education specialist on RAF stations in the UK and overseas were complemented by time spent seconded to the other Services, where he was engaged on the delivery of parachute training. Promotion was accompanied by the task of setting up the Tri-Service Equal Opportunities Training Centre at the then Royal Military College of Science. Given that up to that point he had spent much of his time with farm animals and men, the RAF clearly thought him perfectly suited to the role. A succession of HQ staff appointments followed, from where he went to the Advanced Command and Staff Course and learned a good deal more than he thought possible about Defence. Further promotion saw him back in parachuting in command of the Parachute Training School, after which he joined a planning team tasked with shaping the RAF of 2015. This helped his crystal ball gazing technique improve. A command tour on Operation TELIC blew the cobwebs away and then it was back to the Advanced Command and Staff Course as Directing Staff where, armed with the answers, he did much better. After that a tour in HQ 22 Gp was immediately followed by a final overseas appointment in HQ British Forces Cyprus. He is married to Sam, a businesswoman. They live in North Oxfordshire and have 4 children and a bull terrier between them. When he is not driving the family taxi he likes to run, bike, swim and walk the hills. When he is driving the family taxi he imagines he is elsewhere. Wing Commander Nathan Wilks joined the RAFAC as a Cadet in 2001. He enjoyed a full and varied Cadet career at 119 (Scunthorpe) Squadron, being promoted to Cadet Warrant Officer in 2006. Nathan commissioned into the Training Branch of the RAF Volunteer Reserve in July 2008, spending his first year of service as the Training Officer at 203 (Gainsborough) Squadron. Following his time at 203 Nathan moved back to 119 as the Adjutant, a post he enjoyed until being appointed as the Squadron Commander in September 2012. In September 2014 Nathan was promoted to Squadron Leader upon taking the permanent staff post of Assistant Regional Commandant (Central & East), located in the Regional HQ at RAF Wyton. March 2017 saw Nathan appointed as the Regional Aviation Officer (in addition to his role as the ARC) and as a result promoted to Wing Commander. He is particularly passionate about this role and is looking forward to getting aviation ‘back on the map’ in the region. When Nathan isn’t on RAFAC business he spends as much time as he can with his wife (Vicky), son (Joshua) and daughter (Emily) as well as walking his Labrador Retriever (Jet). He is also working towards attaining a Light Aircraft Pilots Licence with the Flying Club at RAF Wyton. Hello, I’m Ron Tuck. I was born in Hackney in1947 and left school in 1964 to become a telecommunications apprentice with the GPO. After nearly 14 years with the GPO I was ordained and left to become a full time Church of England curate in north London. In 1981 we moved to three small rural parishes in Norfolk. This was followed seven years later with a move to Bradwell, just outside Great Yarmouth. It was at Bradwell that I first became involved with the ATC, where I was invited to become chaplain to 221 Great Yarmouth squadron, a squadron that had been without a chaplain for five years. That was in 1994 and I have enjoyed, and still enjoy, my involvement with the squadron. In 2003 I was appointed Wing Chaplain for Norfolk & Suffolk Wing. Knowing that I was going to retire from parochial ministry in June 2012 I agreed to being appointed Regional Chaplain for Central & East Region in May 2011. Since retiring we have now moved over the boarder to Suffolk and live in the market town of Beccles. I am married to Fran. We have been married for 47 years, have four children, 9 grandchildren and one great granddaughter. Wing Commander Paul Bower was commissioned in 1977 after a successful cadet career where he achieved the rank of Cadet Warrant Officer, representing the Corps at Soccer and travelled to various parts of the world with the RAF. After commissioning he continued to serve the same squadron he did as a cadet and eventually took command there on promotion to Flight Lieutenant in 1982. 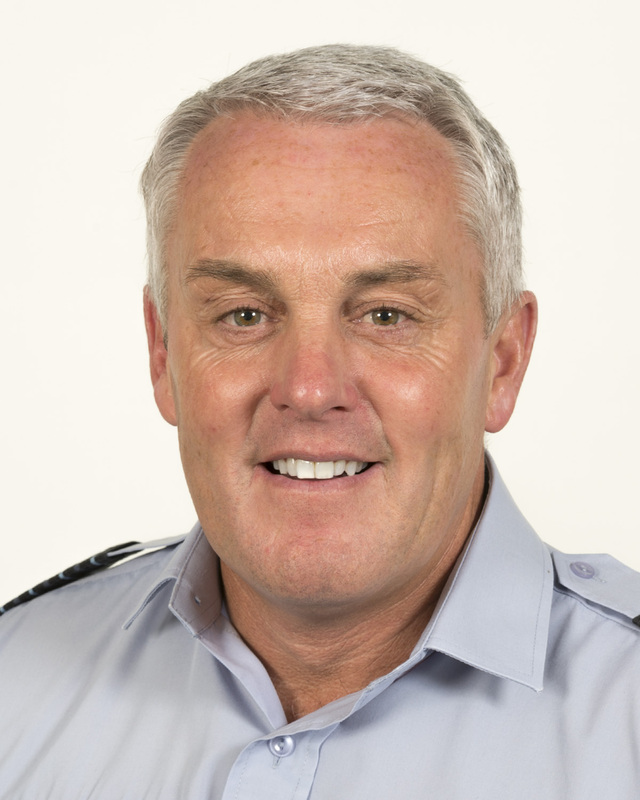 He joined the Wing Staff of Bedfordshire and Cambridgeshire Wing in 1991 and promotion to Squadron Leader followed in 1996. In addition to responsibility for a group of squadrons, throughout his period as a Wing Staff Officer, he also held the position of Wing Adventure Training Officer with responsibility for all Adventure Training within the Wing. His passion lies in outdoor pursuits and he started taking groups from his Wing on Adventure Training courses to the Corps’ AT centres in the Lake District and Snowdonia for week courses in 1978 and continued to do so until retiring as OC Beds and Cambs Wing in 2013. In addition to his Wing responsibilities, Wg Cdr Bower took on the role of Regional Adventure Training Technical Officer for Central & East Region when the role was first created and became a member of the Corps Adventure Training Technical Panel. Promoted to Wing Commander in April 2002, he took command of Bedfordshire and Cambridgeshire Wing, and also continued to hold the position of Regional Adventure Training Technical Officer as he still does today. In 2008 he became one of the first members of the Corps to gain the Membership Award of the City and Guild Institute for Strategic Youth Management and Leadership (MCGI). He continues to enjoy participating in Adventure Training activities, in particular those involving snow and recalls one of his best wild camps was spent in an igloo 250k north of the arctic circle, waking up to a temperature of -37OC. 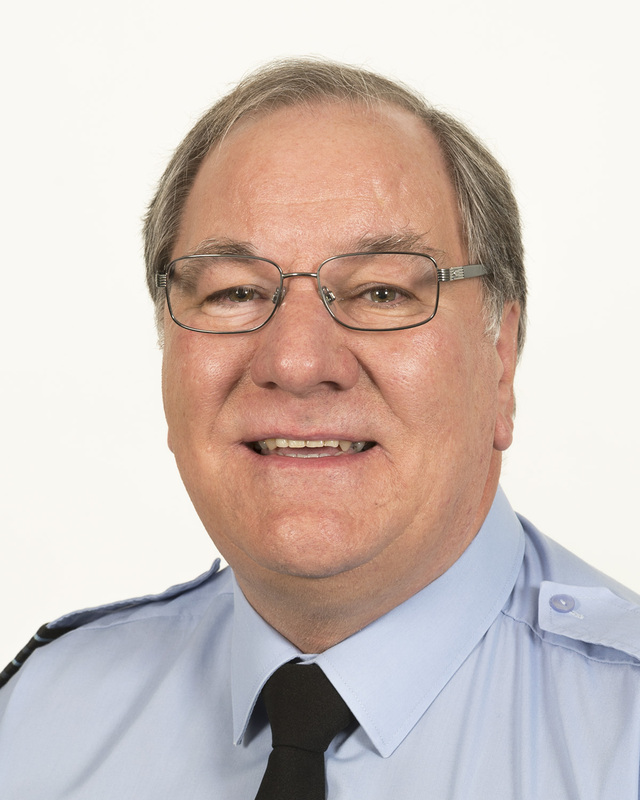 Paul was awarded the OBE in 2016 in recognition of his long and valued service to Air cadet Organisation. Steve Mills has been a member of the ATC continuously since the age of 13, starting at 495 (Sutton Coldfield) Squadron, reaching the rank of CWO, attending camps in Malta, West Germany and Berlin and gaining his gliding proficiency wings. His ambitions for regular RAF service were frustrated by a childhood illness and so he was commissioned into the VR(T) 1977 and in 1978 was the top student on his Officers’ Initial Course at RAF Newton (which included 3 recent RAF pilots). After over 12 years as Sqn Adjutant and Training Officer (they didn’t promote officers under 30 back then! ), he took over as CO of 495 Sqn in 1990 (the best job in the ATC) and reluctantly joined the Warwickshire & Birmingham Wing Staff in 1993. After 8 years as Officer Commanding Warwickshire & Birmingham Wing, he declined an offer of a further extension and volunteered to join the C&E Region Staff as a Sqn Ldr (a rank he had not previously held!) in 2003 and was re-promoted to Wg Cdr in 2007. Steve’s civilian job is closely linked to the ACO and he is a passionate advocate of Vocational Qualifications for cadets and staff: He joined CVQO as a regional manager in 2005 and was appointed Area Manager for Eastern England in January 2015, leading a team of highly experienced regional managers. When not engaged in ATC or CVQO duties Steve is an occasional golfer, fair weather cyclist and regular dog walker. Warrant Officer(WO) Mark Giddings was born in Stamford Lincolnshire and after seeing members of the RAF Regiment training at nearby RAF Wittering, decided that life as a “Rock Ape” was the career path for him! He joined the RAF in July 1983 and after initial basic training at RAF Swinderby moved to RAF Catterick to commence his trade training. Successful completion of this was followed by a posting to 26 Squadron RAF Regiment based at RAF Laarbruch in Germany to complete a tour on the Rapier Surface to Air Missile system. He then moved to RAF West Raynham in Norfolk where he was a member of the Rapier Training Unit, responsible for all of the Rapier courses conducted by members of the RAF Regiment. The call of RAF Germany was too much to ignore and in 1989 he returned this time to 63 Squadron RAF Regiment based at RAF Gutersloh. In 1992 WO Giddings then moved to RAF Uxbridge to complete a four year tour on the Queens Colour Squadron followed by a move to RAF Wittering where he carried out specialist duties on the Armament Support Unit (ASU). Following the closure of the ASU he moved onto the Station Regiment Flight to carry out essential and mandatory training for all RAF personnel. A brief posting to 37 Sqn RAF Regiment still at RAF Wittering was followed by a move to the RAF Regiment Depot at RAF Honington where he worked in the Force Protection Centre training RAF personnel who were deploying on Operational tours. A move to Training Wing followed where he was responsible for the training of potential RAF Regiment Gunners during their basic trade training before progressing onto the Advanced Training Wing where he assessed Gunners on their promotion courses to Lance Corporal, Corporal and Sergeant. He then returned to RAF Wittering and 3 Sqn RAF Regiment as the ISTAR specialist and then the Training Cell before moving to RAF Wyton Force Protection Flight before joining the ACO. WO Giddings has completed tours of the Falklands, Bosnia, Iraq and Afghanistan including carrying out mentoring duties for an elite Afghan Police Unit. He is married to Lisa and has 2 daughters Rebekah and Bethany. He enjoys Mountain Biking, Coarse Fishing, Walking, Arsenal Football Club and not smiling in official photographs. 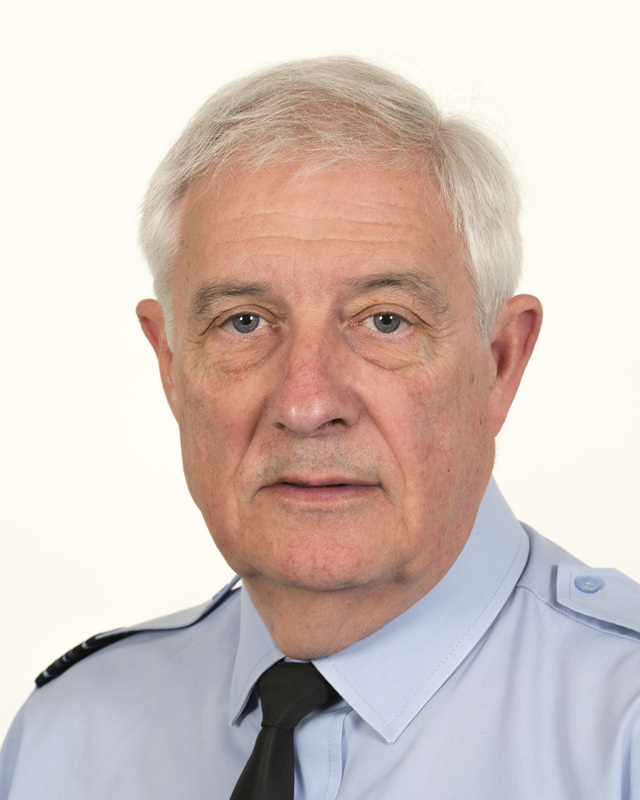 Having joined 1360 (Stapleford and Sandiacre) Squadron as a cadet in 1961, Allan has, almost continuously, worn the Light Blue of the Royal Air Force. Leaving 1360 in 1969 as a Cadet Warrant Officer, Allan joined the RAF as a Ground Communications Mechanic progressing through to become a Chief Technician in the trade of Electronics Technician, Telecommunications. During his 25 years in the RAF Allan saw service in Bahrain, Northern Ireland, Malta, Cyprus and the Shetland Islands. Prior to leaving the RAF, he rejoined 1360 as a Service Helper and became a Civilian Instructor (CI) on leaving the Service. In 1996 Allan went into uniform as an Adult Warrant Officer, a rank he was still holding when he took over as Officer in Charge at 1360 prior to being commissioned in late 1999. During his eleven years as the “Boss” Allan also took on responsibility for training CI’s on the Wing CI Induction Courses as a member of the Wing Adult Training Team. In addition he became Deputy to the Wing Media & Communications Officer before taking over the role in 2005. Around the same time, Allan joined the Central & East Region Media Training Team, a role he still enjoys. He is also a Project Officer (Media) at HQAC. 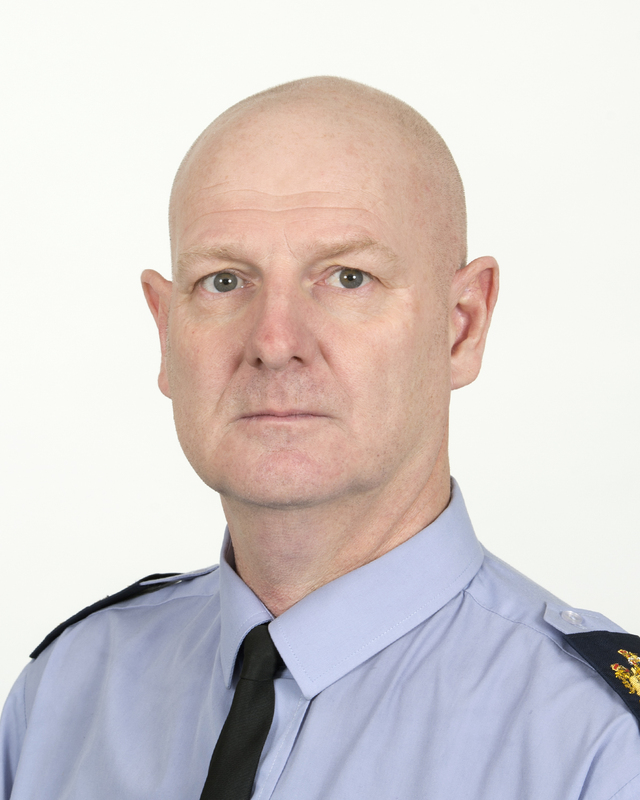 Allan took over the role of RMCO in June 2014. Recently retired after eighteen years in the soft services industry, Allan remains busy. In addition to his Air Cadet activities he is Secretary of his local Branch of the Royal British Legion, Secretary and Treasurer of the local TocH, a member of the Elvaston Castle Steam Rally Committee and President of the Stapleford and Bramcote Combined Services Club. Squadron Leader Paul James joined the RAFAC as a cadet in 1984 at a squadron at RAF Innsworth in Gloucestershire. Paul went on to join the Royal Air Force in 1989 as an MT driver and, after training, was posted to RAF Lossiemouth in the Highlands of Scotland. During his time in Scotland, Paul performed various tasks including being deployed with the Buccaneer aircraft to Bahrain for the Gulf War, then deployed to Stornoway with 202 Squadron, Search and Rescue. Also during this posting, Paul had the honour of becoming the driver to a former Commandant Air Cadets, Air Commodore Jon Ford when he was Station Commander at RAF Lossiemouth. Leaving the far north, Paul’s next posting was to RAF North Luffenham in Rutland to operate aerial platforms (this was a high point of his career). During his time there he supported airfield communications repairs in paces as diverse as Northern Ireland and the Shetland isles. Paul was, for a short period, attached to the Tactical Supply Wing as a Tactical Tanker Fuel truck driver. 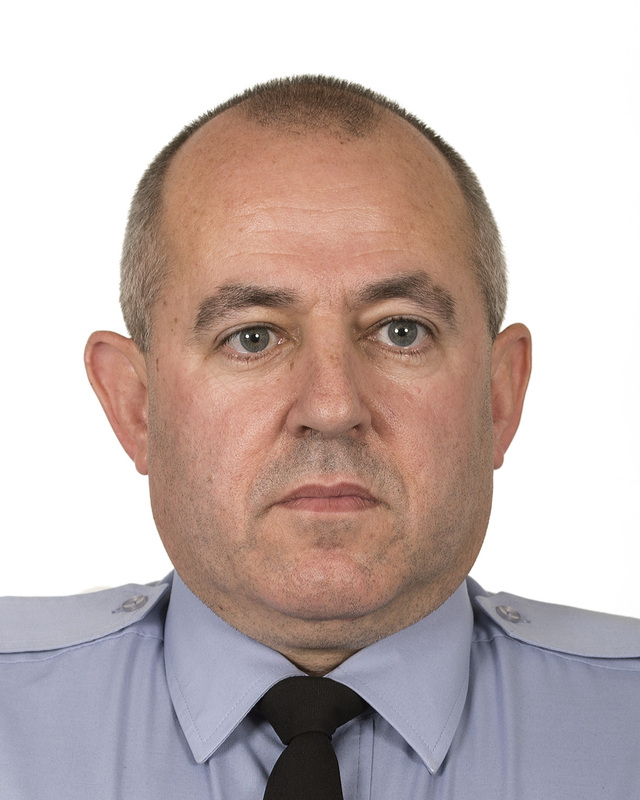 On leaving the RAF, Paul returned to the RAFAC in 2006 joining 47F (Grantham) Squadron as a Civilian Instructor. In 2008 Paul went back into uniform as a Sergeant, then in 2012 Paul was Commissioned into the Training Branch of the RAF Volunteer Reserve staying at 47F as the squadron’s shooting officer. In 2013 Paul became Officer Commanding the Grantham Squadron. During his time as Officer Commanding the Squadron won the RAF Benevolent Fund ATC Squadron of the Year, took the cadets on three exchange visits to Jersey squadron and the Squadron was runner up in the Marshall Trophy. Paul joined the Regional Staff team as the Regional Activity Centre Co-Ordinator in 2016. Since leaving the RAF Paul has successfully carved out a career for himself in logistics, In his spare time, Paul likes to spend time with his wife (Michelle), sons Aidan (Who he works with in his day job) and Daniel. He is looking forward to getting a puppy in the new year which he is going to be called Nigel and is currently learning to fly with the RAF flying Club at Waddington. Squadron Leader Neill Ovenden joined the Air Cadet Organisation (ACO) as a Cadet in 1991 at No 469 (Lowestoft) Squadron. He enjoyed a varied cadet career including numerous UK camps, and a trip to Gibraltar. He was promoted to Cadet Warrant Officer in 1998, and remained a cadet until 6 months before his 22nd birthday. After a brief spell as a Civilian Instructor at No 469 (Lowestoft) Squadron Neill was commissioned into the Training Branch of the RAF Volunteer Reserve in December 2001, spending seven months at No 759 (Beccles) Squadron before being promoted to Flight Lieutenant and assuming command of No 469 (Lowestoft) Squadron July 2002. In September 2008 he was appointed as Norfolk & Suffolk Wing Shooting Officer, with a secondary duty as Band Officer. Neill Joined No6 (Central & East Region) Small Arms Training Team as an instructor the following year, and completed his SA(B)90 RMQ June 2012. In July 2013 he was appointed as a Wing Staff Officer with responsibility for three Squadrons, increasing to seven with a promotion to Squadron Leader in January 2014. In July 2016 Neill was appointed as Officer Commanding No6 (Central & East) Small Arms Training Team, in addition to being the Regional Shooting Officer. During the day Neill is a Director of a company that trains and assesses domestic Gas/Oil engineers, and through this business has gained teaching, assessing and Internal Verification qualifications so is at home training or assessing. He is currently working towards an External Quality Assurance qualification to sub-contract to a large Certification Body. David has been a member of the ATC since 1978 when he joined No 2500 (St Neots) Squadron as a CI, he only came along for a couple of nights to see if he could assist in getting the Squadron’s Hovercraft working, he has remained with the ATC since! 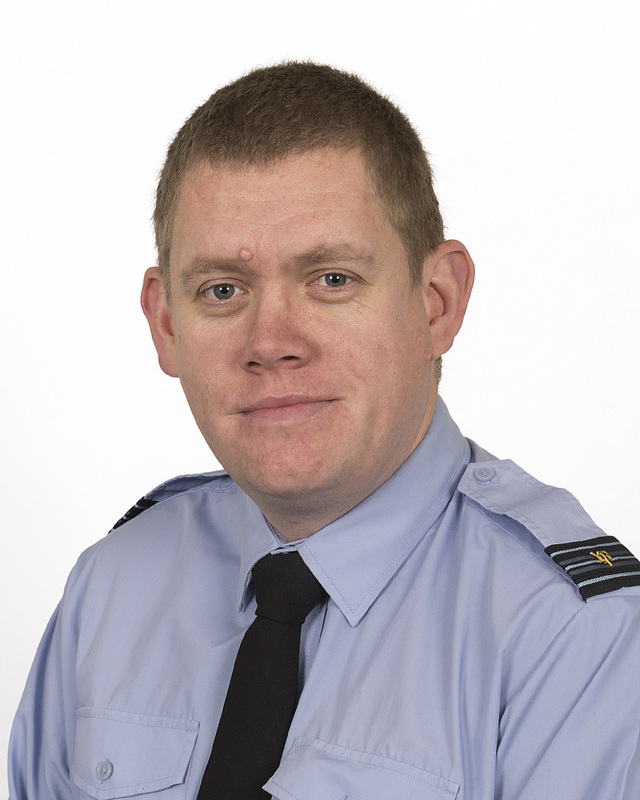 He was commissioned in August 1988 remaining with the St Neots Squadron as the Officer Commanding until December 2012 to take up the role as Wing Radio Communications Officer for Bedfordshire and Cambridgeshire Wing ATC. 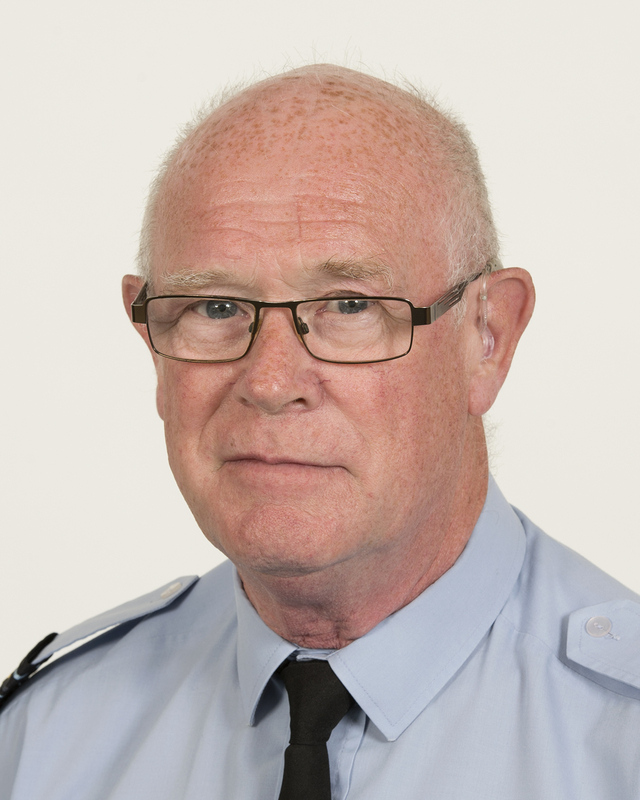 He enjoys passing on his radio communications knowledge onto the cadets during various training course with a hope that it will give them inspiration to take up the lifelong hobby of radio and further their chances of future employment. David has also holds two other posts, Wing and Region Aircraft Recognition Officer which he has done for some 16 years now, he also assists HQAC with Syllabus changes and running National Competitions in Aircraft Recognition. In his spare time David is a UK Licenced Radio Amateur so enjoys organising and operating Special Radio Event Stations in conjunction with the local radio club, attending his garden and spending time with his wife and family away on the South Coast. In September 1962 following two years as a cadet with 1862 City of Carlisle Sqn, Alan joined the RAF as a Boy Entrant with No 50 Entry at RAF St Athan training to be an engine mechanic. For the next 14 years he completed various posting around the UK and abroad and represented the RAF as a gymnast and in canoeing. He also represented RAF Germany and Maintenance Command as an athlete. Alan joined 2409 Sqn in September 1993 as a civilian instructor and was commissioned the following year. He was appointed OC 1563 Buckingham Sqn in 1997. In 2003 he became more involved with music working both at Wing and National levels and also playing trumpet with RAF Halton Area Band. 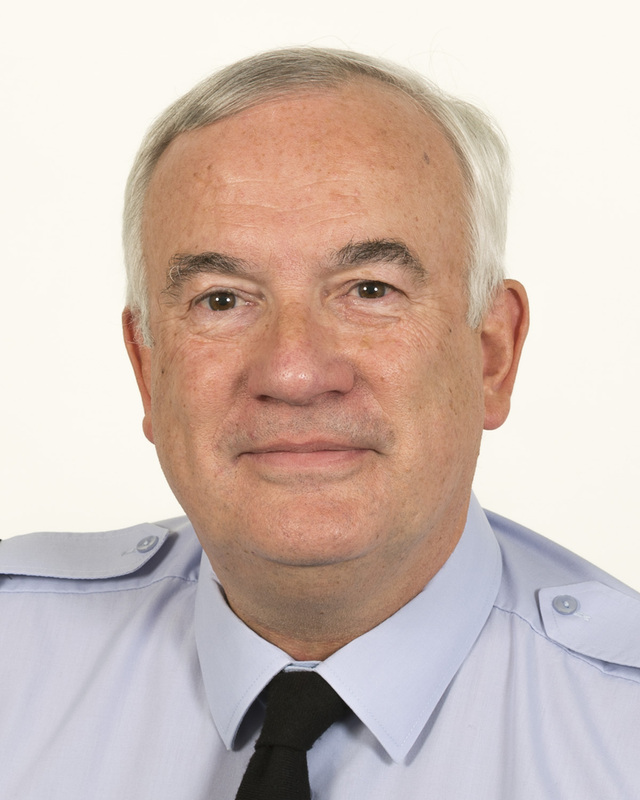 In 2009 he was appointed Director of Music of the Air Cadet National Concert Band, completing a number of high profile engagements and also recording a CD in the studios of the RAF Central Band. Warrant Officer Michael Webb RAFAC was brought up in Germany and East London . He joined the Air Training Corps in March 1988 (282 East Ham Sqn) and rose through the ranks to CWO in 1992. In 1994 he aged out and became Adult Warrant Officer. After serving on 4 Squadrons, he took Command of 2408 Campion Squadron where he served as OC for 3 years. He then went on to be the Squadron Warrant Officer on a further 3 Squadrons. During this time he was a Sector Warrant Officer and the London Wing Drill & Ceremonial Warrant Officer. In October 2013 he transferred to Central and East Region. He joined Bedfordshire & Cambridgeshire Wing as the Squadron Warrant Officer on 2461 Squadron and in March 2014 took on the role of Eastern Sector Warrant Officer. In July 2014 he was appointed the Wing Warrant Officer for Bedfordshire & Cambridgeshire Wing. In his civilian career he works for Transport for London as part of the Incident Response Team, covering North East London, Hertfordshire and Essex. He is married to Vicki, who owns a dog grooming business. They live in Hertfordshire and have 2 children Daniel and Amy and a Cavalier King Charles Spaniel called Molly. He enjoys family holidays, meals out and watching live comedy. 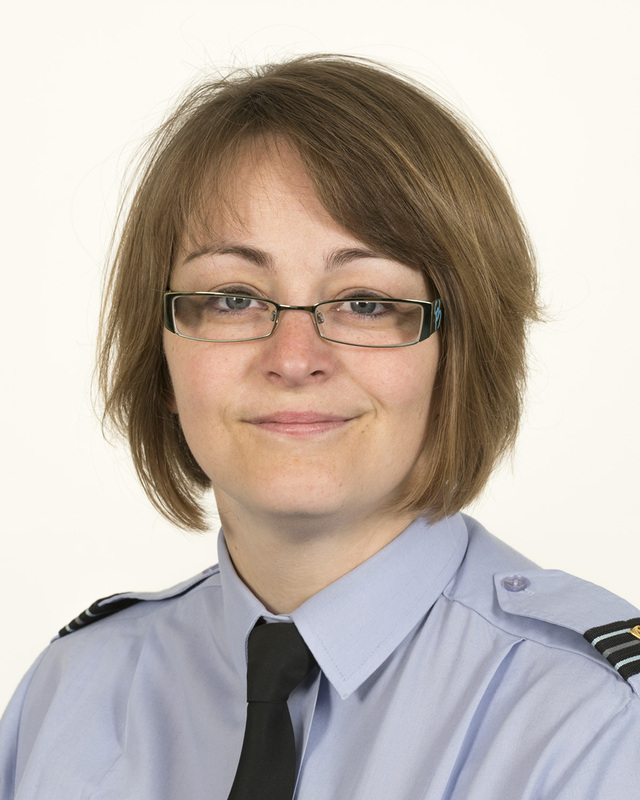 Outside of the ACO Flt Lt Carol Haynes is a Director of C&DTraining Limited. C&DTraining Limited is an independent training provider, delivering various learning programmes to companies and independent learners. Topics include teaching and assessing qualifications, first aid and health and safety related topics. C&DTraining Limited also provide event first aid medical cover.